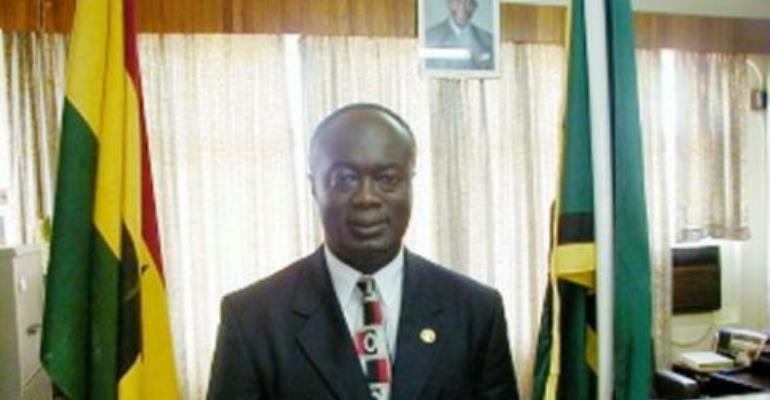 KMA Boss Seeks Refuge In Parliament? Kumasi, Dec. 22, JoyOnline -- The outgoing chief executive of the Kumasi Metropolitan Assembly (KMA) and MP elect for Asokwa, Maxwell Kofi Djuma has dismissed suggestions that he is seeking refuge in parliament in order to avoid the responsibility as city mayor. He said he has succeeded in making the KMA effective machinery for improving the life of residents in less than four years that he had been in office. Mr. Jumah was reacting to public concerns about his decision to leave what is considered the unfinished business of the KMA to join parliament. He said there was the need to understand local government and that byelaws enforced by the KMA were not punitive but enacted to ensure sanity and protection. He also stressed the need to improve the caliber of people to make good decisions as well as manage finances. Mr. Jumah succeeded Akwasi Agyeman KMA Boss in April 2001 following the assumption of office of the NPP. His first four-year term is suspected to end in May 2005, which is subject to renewal by the president. Mr. Jumah begins his political career come January 7 when the next parliament is inaugurated. According to him waste management and infrastructure are some of the area he has seen tremendous improvement. He mentioned an engineering landfill site, a proposed recycling plant whose construction begins next week as some of his achievements. Mr. Jumah survived several attempts by the assembly members over allegations of incompetence and lack of transparency in his attempt to decongest the city.